It’s finally happening. All around the country channels are being reassigned. This is the culmination of years of planning from the FCC and local channels. It’s already started in some areas, and it’s just beginning to ramp up. I’m talking about the FCC repack and it’s time for you to know the story. Before I go any further, if you only have cable, satellite or streaming this really doesn’t apply to you. This is really just for people who get their TV from an over the air antenna. Please enjoy the many other articles on this blog, but this one really doesn’t have a lot for you. What’s happening is that the available frequency range for TV is shrinking. At one time in this country, we had channels 2-83. The top end channels were taken away long ago, and about ten years ago the range was shrunk down to channels 2-51. Those extra channels above 51 weren’t needed anymore because new digital broadcasting technology meant channels could be closer in frequency to each other. Now they are at it again. Channel 37 is already removed from public use and channels 38-51 are being taken away to make room for new cellular data services. Everyone wants faster cell service and the frequencies used by TV are just perfect for it. Most channels will be moving “down spectrum.” In other words, if they had a high-numbered channel they will be moving to a lower number channel. You won’t notice the difference because the PSIP system in your TV gives you “fake” channel numbers so you don’t have to learn the real ones. There’s a great tutorial about that here. So if you’re tuning to channel 4 now, you’ll still tune to channel 4, you just have to go through a process to help your TV know what channel 4 means. Different cities will go through this change at different times. To learn more about your area, visit RabbitEars.info’s repack tools page. Choose your home market (usually the name of the largest city in your area.) These cities are listed by size from largest to smallest in the dropdown menu. Filter it by your city and you’ll see something like this. Really theew are only two things you need to look at here. The left column says “New Ch.” If any of those numbers are below 13 you’ll need to read below. The other thing you want to look at is the column that says “Ph.” This is the phase that your market is in. That will tell you when the actual changes will be made. 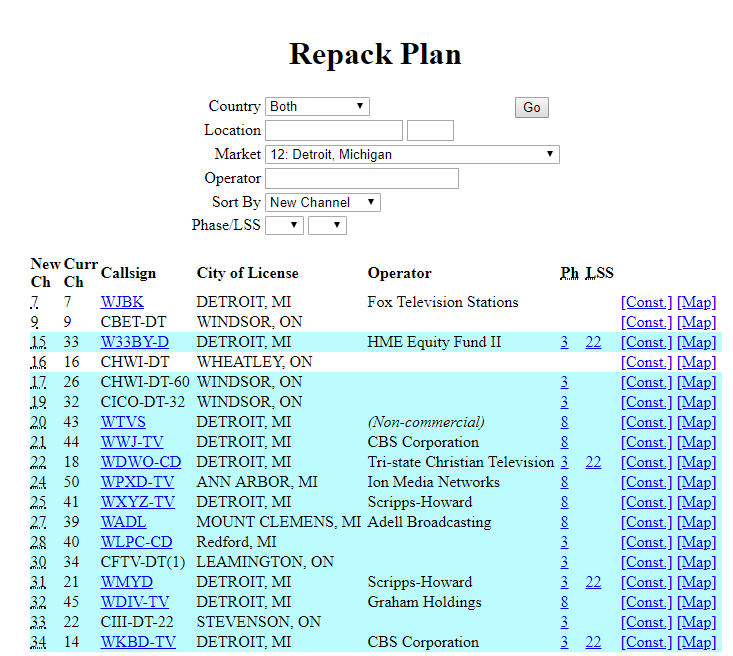 In some cases (like Detroit) some channels will be in two different phases. This information will tell you, based on what phase you’re in, when you need to start to worry. You should start scanning for channels every few weeks during the testing period and then finish after the phase completion date. What if my channel numbers are 13 or less? If any of the new channels are under 13, that means you’ll need a VHF antenna. Many antennas purchased in the last 10 years don’t pick up VHF antenna signals. If your current antenna is one of them, you’ll want to get a new one in order to continue to get those channels. If you don’t know if you have a VHF antenna, one way to figure it out is to go to that page on RabbitEars.info. Look at the column called “Curr Ch.” If any of those numbers are under 13, look at the channel and if you get it with an over-the-air antenna now, then you’re set. What if my channel numbers are 6 or less? There are a small number of broadcasters who are moving to channels 2,3,4,5 or 6. Those channels are referred to as “VHF-Low” and in order to get them effectively you’ll need a very large antenna. Luckily this is a fairly small number of stations and most of them are fairly special purpose. They have international or educational programming and most are only broadcasting so they can get on cable or satellite TV. 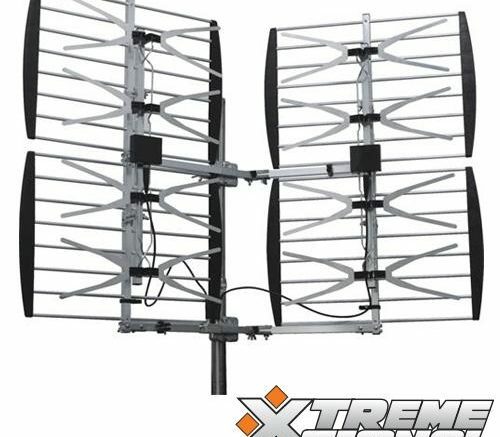 However, if you want to get those channels you will probably need a larger, upgraded antenna. Give a call to Solid Signal at 877.312.4547. Our helpful and friendly phone reps can help you find the antenna you”ll need at the right price for you. With these tools, you’ll have the information you need, and they can help you as well! Who is the FCC anyway? Will a PAL TV work in the United States?